My dear friends, readers & budget nerds, I have a confession to make: I have sucked at sticking to our budget the past few months. Not for lack of knowledge, mind you. Remember, that one time I wrote a post called, “How to Actually Stick to Your Budget“? I think I’ll go reread it. I would like to make a few excuses for my behavior. Pregnancy induced exhaustion told me I did not have energy to stick to a budget. We had to pause big loan payments to save for a car and for the baby expenses. It was harder to make myself stick to a budget when the goals were fuzzy. We had an approximation of car + baby costs we were saving up, but it was all kinda “meh, we’ll see…” I don’t do well with “meh we’ll see” type goals. Ordering stuff on Amazon whenever I want is easy and fun and so ridiculously convenient. Plus I’m basically friends with our UPS guy and I just missed saying hi to him if we didn’t get something delivered for a few days. Ya know? Okay, all joking aside… let’s talk budgeting excuses + getting back on track. If you, like me, find yourself in a season (be it 1 month, 6 months, or 60 years) where you have been failing at your budget, it’s time to own up to it and move on. Let’s not make lame excuses (me) or dwell on all the legitimate reasons (there are real setbacks sometimes!) 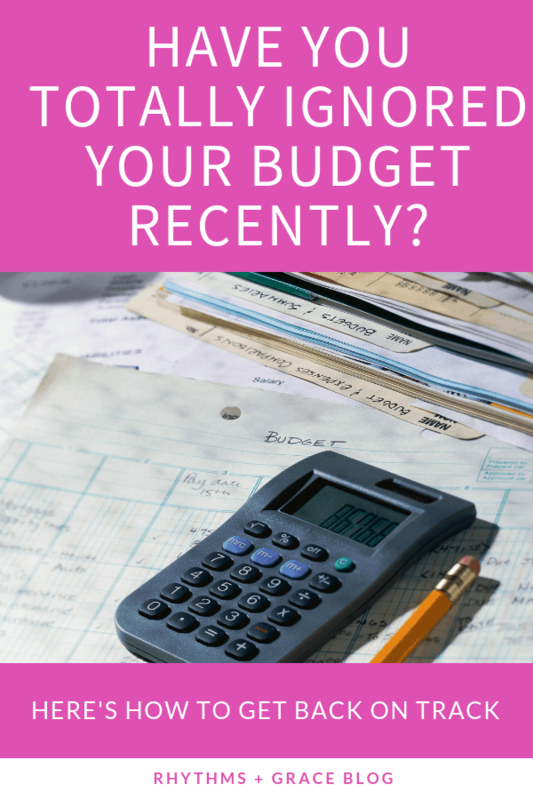 why you haven’t been making a budget or sticking to your budget. Instead, just own up to it. Acknowledge that you can be in control of your money and that you want to be in control of your money. Make a list of reasons why you want to stick to your budget and get motivated, then get over it and move on. I make money blogging about how to stick to a budget and I still chose not to stick to our budget for a while. It happens. Life happens. We make bad choices. Time to get over it and move on. No use dwelling on past failure. Instead, figure out how to succeed going forward. So how do you succeed at budgeting when you’ve been failing for a while? We’ve been making a budget, but not sticking to it very closely. We use YNAB, which is connected to our bank account, so we are always able to connect our budget to how much money is in the bank. Make a zero-based budget starting TODAY. This means, all the money you currently have gets budgeted for something until the number hits zero. As of writing this, we’re almost halfway through the month. If you currently live paycheck to paycheck, that means you have to figure out a budget for getting through the rest of the month. Then, budget all the money that’s coming in and start working to get a paycheck and then a month ahead of yourself so that you aren’t living paycheck to paycheck anymore. Like I mentioned, the areas I’m most likely to go over-budget in when I get lazy are groceries and gifts (depending on the month). When you’re working to get back on track with budgeting, it’s important to honestly identify what areas you overspend in and how to fix it. Sometimes it’s a matter of being diligent and paying more attention. But sometimes, you have an unrealistic budget and need to increase it. We didn’t really increase our grocery/household budget much when Ben was on a no-carb, high protein diet, which was poor planing. We spent extra on some specific food for his diet, as well as eliminated all “cheapo” type meals (i.e. pancakes, rice or pasta based dishes) that stretched our food budget. The whole diet was meat + veggies which are more expensive than carbs. We should have increased our budget accordingly instead of consistently going over budget for a few months. We had a gift budget but it wasn’t set up very well, then we had a LOT of gifts in May. So, I went back and reread my own advice (dorky) about how to budget for gifts and went ahead and planned ahead for the remainder of the year’s budget. Then, in June when I had to buy a birthday gift, I checked how much I budgeted for that specific gift before I purchased. 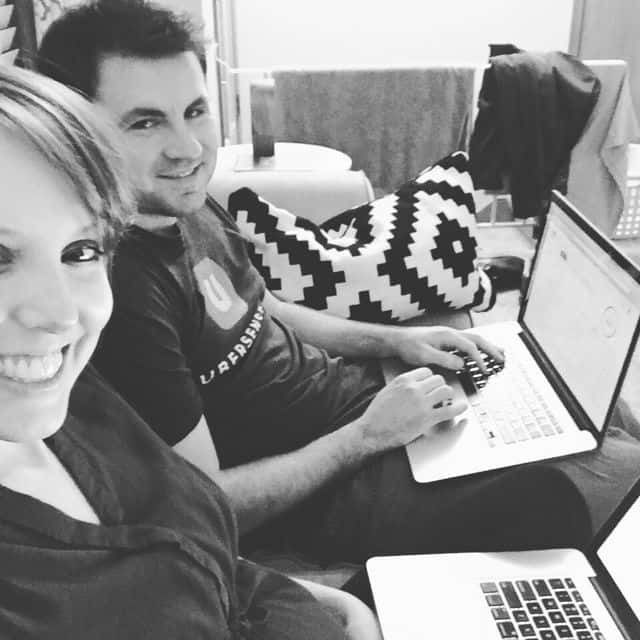 My husband and I do our monthly budget together. I’ve written before about our weekly budget & calendar meetings too. He was pretty pumped I asked him to take a money-date selfie. We fell out of that habit the past few months and found ourselves going over budget in certain categories. So, we’re back to once-a-week budget meetings. Also, meeting weekly allows us time to figure out exactly what our budget is for the whole month up front and transfer out the extra money for debt at the beginning of the month… which means there actually is no extra money to spend. If you’re married, do your budget with your spouse. If you’re single, find a trusted friend, parent, or other relative that you can comfortably go through your budget with each month. It just helps to have someone in your court, cheering you on, and asking you how it’s going! 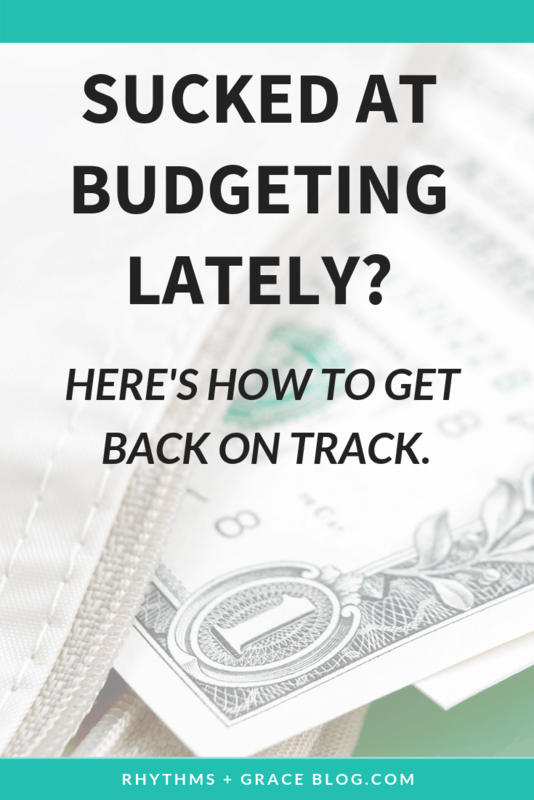 If you’ve never really done a budget, better late than never. No guilt about the past! Just start now! Start where you are with what you have and go from there. 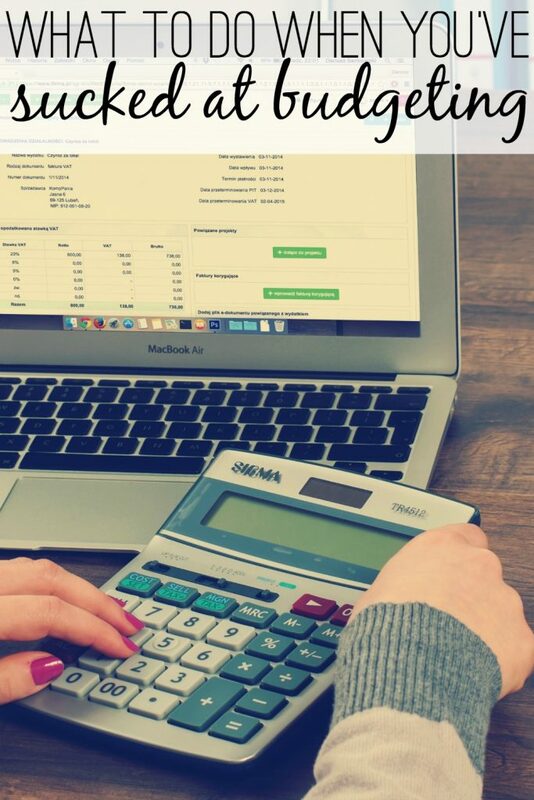 I’ve written several posts to get you started in this Budgeting 101 series, or you can always contact me or reach out in the comments. Okay, y’all. There it is. 100% transparency. I’m getting back on the stick-to-my-budget bandwagon. Any other tips for those of us who are getting back on track with budgeting? Comment your ideas below! p.s. I’m reading Winnie-the-Pooh with our 5 year old hence the title. If you haven’t read it, get it now!! It’s so fun! I have such good memories of my mom reading this to us as kids. We were given this version and it feels like a big, fancy, special book to the girls. Addie loves moving the bookmark ribbon. Plus it has big beautiful pictures.